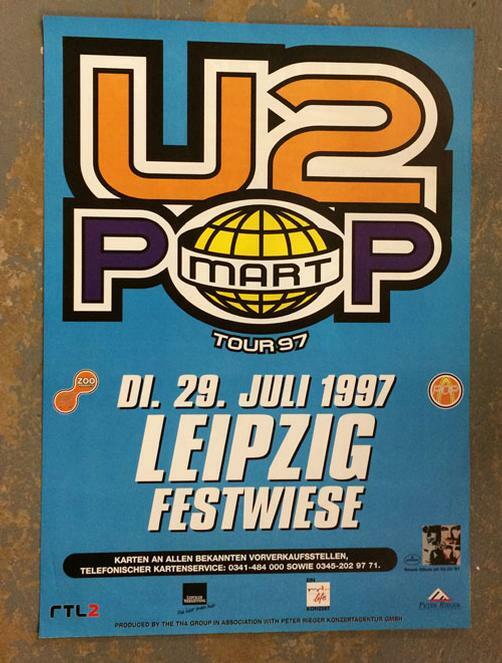 Original concert poster for U2 Festwiese in Leipzig, Germany for the PopMart Tour in 1997. 33 x 23.25 inches. Light handling marks.